I always thought Buddy Holly was The king. I have a dream band now. David Reo, Guitar, Matt Rodela, Bass, Pete Gallagher, Drums. I would like to use Jimi Hendrix and Eric Clapton and Doyle Bramhall II, sometimes, Steve Gadd on drums is nice. Clapton's Band would work. Nathan East, Bass, Jim Caleri on Keyboard. 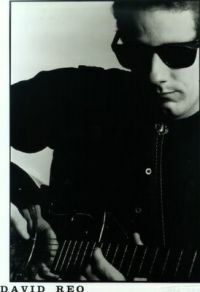 (He was in the band America) He also plays on my upcoming album due out in the fall of 2011. Gary Herbig on horns. (He is on my album as well) Maestro James Domine on strings, Hannah Divine, fiddle, Brian Batchley on harmonica, Nick Mancini, Vibes, another great drummer I use is Duane Waider.